As we are stepping into spring, is a great time for you and your family to take part in the adrenalin of equestrian sport. GHS has purpose built floodlit indoor and outdoor all weather riding facilities. Riding vouchers and Riding Activity Day Vouchers make exciting and healthy gifts for many different occasions. Why not treat your partner, child, family, or friend or just indulge yourself! 20% off private lessons on Tuesday's between 9am and 4pm, During School Term time only. 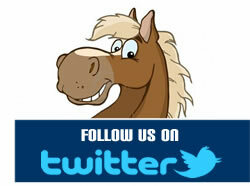 Make sure you catch Copper's monthly blog on our Facebook site. Pony Club is now only being held on a Monday Evening. Saturday Back to Basics class lesson has now been moved to 1pm. Take advantage of the special offer running currently, which gives you 25% off private lessons on a Tuesday through school term time between the hours of 9am and 4pm. Make sure to book in advance to avoid disappointment. The shop is a great way of pre-paying for lessons or to treat your partner, children, family and friends or why not just treat yourself. We have our whole range of lessons, activities and gift vouchers available to pay for online. Once you have placed your order, simply give us a call on 01427 890802 to book your session and quote your order number. 09.00 – 16.00	Children's Fun and Games Day £42.00 (Half Day sessions also available £25.00) (Minimum age 6). The day includes either Gymkhana Games or Handy Pony Competition. 09.00 – 16.00	Children's Own a Pony Day £42.00 (Half Day sessions also available £25.00) (Minimum age 6) The day includes either Clear Round Jumping, Gymkhana Games or Handy Pony competition. 09.00 – 16.00	Children's Fun Day £42.00 (Half Day sessions also available £25.00) (Minimum age 6). The day includes either Gymkhana Games or Handy Pony Competition. 09.00 – 16.00	Own a Pony Day £42.00 (Half Day sessions also available £25.00) (Minimum age 6) The day includes either Clear Round Jumping, Gymkhana Games or Handy Pony competition. 09.00 – 16.00	Riding Activity and Pony Club Rally Day £42.00 (Half Day sessions also available £25.00) (Minimum age 6) The day includes 2 hours of riding tuition and work towards either the BHS Progressive Certificates or Pony Club Certificates. 09.00 – 16.00	Children's Riding Activity and Pony Club Rally Day £42.00 (Half Day sessions also available £25.00) (Minimum age 6) The day includes 2 hours of riding tuition and work towards either the BHS Progressive Certificates or Pony Club Certificates. When booking for the Own a Pony Activity Session, please request 3 horses or ponies that you would like for the day. Please note that we cannot guarantee horses but we will try and allocate you one of your choices. Normal Group and Private Lessons are available throughout the week, starting from £14.00 for a 30 minute group lesson, and £21.00 for a 60 minute group lesson. Family groups also catered for. Booking for all of the above now being taken. For further details of our exciting 2018 programme, or to place bookings, please ring 01427 890802 or ask in the office. There are limited places for all activities so please book early to avoid disappointment. Website & Social Media Designed & Managed by Affairs Group: Specialists in Equestrian Website Design.